Ever dreamed of partying in a record store? Want to recreate an iconic scene from any of the cult classics that celebrate record store culture? Well, now Sonos is giving you the chance to make yourself at home for a dream overnight escape in our new Listening Room in Rough Trade's NYC store. Sonos has partnered with Rough Trade, the legendary record store originally founded in London, to re-create the ultimate home audio listening experience inside the store’s popular Brooklyn location. Retreat to your own private HiFi haven upstairs in the Sonos Listening Room: a vintage-inspired lounge stocked with your favorite vinyl, a Sonos home sound system, and mid-century modern furnishings. An ode to the old-school record store culture, the Listening Room is equipped with two Sonos PLAY:5s, two Sonos PLAY:1s, a Sonos Connect, and a Pro-ject record player to give you and your friends a high quality listening experience. The Sonos Listening Room also nods to the local music scene, showcasing an exclusive collection of out-of-print New York music zines and a custom illustration by New York cartoonist Mark Stamaty, which is also featured in one of the Listening Rooms at the Sonos Store in Soho. Whether you want to party all night or keep it low key, we’ll set you up with the perfect playlist of your favorite artists to soundtrack the evening. Can’t decide? Tell us some of the bands you love and we’ll have a selection of staff picks ready for you when you arrive. Whether you want to host your very own late night vinyl listening party, find a brief escape from your chaotic workweek, or host a night-in with your closest friends – you’re in control. The room will come stocked with a mini-fridge full of your favorite snacks and drinks from some of Sonos’ favorite Brooklyn eateries...because the munchies are unavoidable when you stay up all night listening to your favorite records. And when the sun comes up, you’ll have the entire Rough Trade record store to yourself for your own private shopping experience, browsing the vast collection of records and a Sonos sound system of your own to take home. We totally encourage you to invite all your friends, but we do ask you to be respectful of our space and give us a final headcount at least three days prior to your booking with names. All guests must present valid ID and abide by a 2:00 a.m. curfew. This space is available on select Friday and Saturday nights during the months of October and November. Sonos and all Sonos product names are trademarks or registered trademarks of Sonos, Inc.
- Your friends are welcome to join, everyone just has to be home by 2:00 a.m.
Sponsors. The Sponsors of this Night At The Sonos Listening Room In Rough Trade NYC Contest (“Contest”) are Airbnb, Inc., 888 Brannan Street, San Francisco, CA, and Sonos, Inc., 614 Chapala Street, Santa Barbara, CA 93101 (collectively, “Sponsors”). Eligibility. The Contest is open to legal residents of the 50 United States and D.C. only, age 21 or older. This means that you are not allowed to participate if you reside outside of these jurisdictions. Directors, officers, employees, independent contractors and agents of Sponsors, Rough Trade, or their subsidiaries or affiliates (collectively, the “Contest Entities”), and the members of their immediate families or households, are not eligible. How to Enter. Participants who have reached the age of 21 at the time of participation, may enter the Contest from Monday, September 19, 2016 at 12:01AM EDT until Monday, September 26, 2016 at 11:59PM EDT by following the process below. Submissions must be received through the below process by the close of the Contest to be eligible.  - Sign in with an Airbnb account. If you are not already an Airbnb user, you must also complete the registration process to create an Airbnb user account. This process is free. - In the form provided, write your story addressing the question above in at least 50 characters but no more than 550 characters (the “Submission”). Submission Requirements. The submission must be in English and be entrant’s original work, not previously submitted in any other contest, promotion or competition or otherwise have been publicly displayed. The Submission must be sent from the email account associated with the entrant’s Airbnb account to be verified and reviewed. Each participant can only participate once. Airbnb is not responsible for computer or network problems, problems with servers, problems with email accounts or the failure to receive any Submission for any reason whatsoever. By entering the Contest, participants agree, on their behalf and, if applicable, any guest (who must also be a registered Airbnb user) that as a winner they are permitted to share the prize with, that they may be contacted by Sponsors in relation to the Contest and agree to take part in any publicity that occurs as a result of the Contest and, in addition to any other grants which may be granted in any other agreement entered into between the Sponsors and any participant, irrevocably grant Sponsors and their agents the right to use and/or identify their name, image, likeness and/or town/country of residence in any such publicity (in media now known or hereafter developed) in perpetuity, and each participant and/or guest hereby releases Sponsors from any liability with respect thereto. Prohibited Content. Submissions/content must not violate the rights of any other party, including but not limited to intellectual property rights or rights of privacy, publicity or other moral rights. Submissions must NOT contain or consist of: (a) advertising or commercial content for any party other than Sponsors; (b) content that endorses/promotes illegal or harmful activity; (c) violent, profane, vulgar, obscene, defamatory or otherwise objectionable material; (d) adult material; or (e) defamatory content. The Sponsors reserve the right to disqualify any participant who violates these prohibitions or any other provision of these Official Rules, or that the Sponsors deem inappropriate for any reason, in their sole discretion. You represent and warrant that your submission/content does not make unauthorized use of, or violate, any rights of any third party, and that, if necessary, you can provide proper permissions in a form acceptable to the Sponsors. License. By submitting a Submission, participants grant Sponsors a perpetual (or for the term of the protection granted by the relevant intellectual property rights), worldwide, irrevocable, royalty-free license to transform, edit, modify, reproduce, distribute, transmit, publish, broadcast, perform, display, or otherwise use the Submission, in whole or in part, with or without modifications, in any form or medium (including but not limited to: internet, any printed medium distributed via press, billposting, point of sale advertising, flyers, leaflet, etc. ), whether now existing or later developed, for entertainment, promotional and/or advertising purposes and/or any other purpose. To the greatest extent permitted by law, entrants agree not to invoke any so-called moral rights in relation to their Submissions (including, without limitation, the right to be identified as the creator of the work and the right to object to derogatory treatment of the work). For the avoidance of doubt, the license referred to in this paragraph is a fully paid-up license. By entering, you guarantee that your entry is original as referred to above, and that you have all necessary rights to provide the entry and to grant to Sponsors the rights set out in these Official Rules, as well as the consent of any person that may be identified, depicted or referred to in the entry. You will indemnify and hold Sponsors harmless for any breach of these provisions. Only the winner will receive a prize according to the next paragraph: ‘Prize’. - A one-night stay for two (2) persons at The Sonos Listening Room in Rough Trade NYC, which will include a VIP concert experience, all meals during the duration of their overnight, a private shopping experience in Rough Trade NYC, Sonos product, a $500 stipend for incidentals. - Round trip coach air transportation for winner and one guest between a major airport nearest the winner’s residence in U.S. and New York City. Approximate retail value of the Prize is $2,000. Actual value may vary based on winner’s home location and dates of travel. Any difference between advertised and actual value will not be awarded. If winner lives within 150 miles of New York City, ground transportation may be provided in lieu of air travel. The Prize does not include: airport transfers to/from The Sonos Listening Room in Rough Trade NYC or to/from entrant/guest’s home, any meals (not described above), any other expenses not detailed above, and any taxes due as a result of acceptance of the prize. Winner must be available to travel to New York City on dates specified by Sponsors. Winner and guest must possess all documents necessary for air travel, and must travel on the same itinerary, where applicable. Guests must be at least 21 years of age. If a winner declines to accept Prize, Prize will be forfeited and may be awarded to an alternate winner, time permitting. The Prize may not be redeemed for cash. If the advertised Prize becomes unavailable, Sponsors reserve the right to award, as substitute, a prize of equal or higher value. - Originality of the answer. Does it surprise and delight us? - Spirit of the answer. Does it evidence a deep passion for music and record store culture? The panel of judges will be comprised of members of the marketing teams of Sponsors and/or other authorized personnel or consultants chosen by Sponsors. If substantially similar Submissions are submitted by different entrants, judges will select only the best version of that idea, as determined by the judges in their sole discretion. The judges’ decisions are final and binding. Notification/Announcement of Winner. The winner will be selected on or about Friday, October 7, 2016. Within 24 hours of selection, winner will be notified by phone and via the Airbnb message center. Winner must confirm their acceptance of the Prize in writing within 48 hours of such notification. The Sponsors reserve the right to disqualify any winner who does not confirm acceptance of the Prize in accordance with these Official Rules, and reserve the right to select an alternate winner in such event. In the event of a dispute about the identity of a winner, the Sponsors will award the prize to the authorized account holder of the Airbnb account from which the winning entry was sent. The Sponsors may publicly announce the name of the winner within 30 days of the close of the Contest, including through Sponsors’ official social media channels. Prize Conditions. Save as may be required by any applicable mandatory laws, the Prize is provided AS-IS with no express or implied warranty or guarantee. The winner is solely responsible for any taxes applicable to or resulting from the award of the prize, and the Sponsors will have no obligation for any taxes that may be payable. Sponsors may require the winner, and where applicable, the winner’s guest, to sign and return an affidavit of eligibility, a Form W-9, a liability release and a publicity release permitting the Sponsors to use the name and likeness of the winner and his/her guest and winning Submission in promotional materials where permitted by law and subject to applicable rules. To the extent permitted by applicable law, refusal or inability to sign and return such forms within 72 hours of receipt may result in disqualification and awarding of Prize to an alternate winner. The winner and his/her guest shall strictly abide by any rules and procedures set forth by Sponsors in connection with the Prize. Engaging in any inappropriate or illegal conduct during any prize-related activity may result in removal from the premises where the event is occurring. Airbnb may conduct a background check on the winner and his/her guest to confirm eligibility, compliance with these rules and/or fitness as Prize recipients. By entering, you agree to cooperate reasonably with any such background checks. Failure to cooperate may result in disqualification and selection of an alternate winner. If a background check reveals that a potential winner or guest has engaged in conduct that could damage the reputation or business of Sponsors, the winner and/or guest may be disqualified and, in the case of the winner, the prize may be awarded to an alternate winner, time permitting. General Liability Release. By entering this Contest, entrants release the Sponsors and their agents from any liability whatsoever, on any theory, and waive all claims and causes of action arising from or related to this Contest and/or fulfillment and/or use of the Prize, to the extent permitted by applicable law. Force Majeure. In the event Sponsors are prevented from conducting the drawing, awarding prizes or continuing with the Contest as contemplated herein by any event beyond its reasonable control, including but not limited to fire, storm, flood, earthquake, explosion, accidents, public disorders, civil unrest, disease outbreak, sabotage, acts of terrorism, acts of war (declared or undeclared), labor shortages riots or acts of God or public enemy, satellite or equipment failure, order of any court or jurisdiction, or other cause not reasonably within Sponsors' control (each a "Force Majeure" event or occurrence), then subject to any governmental approval which may be required, Sponsors shall have the right to modify, suspend, or terminate the Contest. Interpretation and Disputes. Entrants agree to be bound by these Official Rules and all decisions of the judges, which are final and binding. Any disputes shall be governed by the laws of the State of California, and shall be resolved in the courts of San Francisco, California. Miscellaneous. The Contest is void where prohibited. If any provision or part-provision of these Official Rules is held by a court of competent jurisdiction to be invalid, illegal or unenforceable, it shall be deemed modified to the minimum extent necessary to make it valid, legal and enforceable. If such modification is not possible, the relevant provision or part-provision shall be deemed deleted. Any modification to or deletion of a provision or part-provision under this clause shall not affect the validity and enforceability of the rest of these Official Rules. By entering this Contest, Entrants understand and agree that the Entrants shall have no right to enjoin or restrain the development, production, advertising, promotion, distribution or exploitation of the Contest, or any other business or project of the Sponsors, individually or collectively. To the extent permitted by applicable law, the Sponsors may suspend, modify or terminate the Contest if they believe, in their sole discretion, that malfunction, error, disruption or damage is impairing or will impair the administration, security, fairness, integrity or proper conduct of the Contest, in which case the Prize will be awarded among the eligible entries received that were unaffected by the problem, if possible. Founded in 2002, Sonos creates the leading whole-home sound system. Once a tech start-up populated with nerdy engineers and brilliant designers who love music, Sonos has grown into a global music brand dedicated to transforming the experience of listening out loud to music in the home. Its wireless home sound system makes it easy for everyone to listen to the music they love in every room of their home, and appreciate it all with the highest sound quality. Rough Trade first opened in 1976, a small neighbourhood store on the doorstep of punk, West London, UK. Not simply a place that sold records from the emerging DIY music scene, Rough Trade became a meeting place for artists, label owners, the burgeoning independent music community in general. Over the course of the next 40 years, the worldwide independent music/artist community has grown up, through and entwined itself with Rough Trade, gradually shaping it into one of the most trusted, respected and loved music retailers - a globally recognised culture brand with peerless integrity and music recommendation authority. With iconic destination stores in the UK (London, Nottingham) and US (New York), along with forthcoming web and bricks ’n’ mortar stores either currently in development or planned, Rough Trade continues to evolve and reach wider audiences, championing and celebrating the most exciting new forms of creative, music self-expression along the way.